Buns. And nips. And firearm-themed sips. What, no artisanal ham platter? 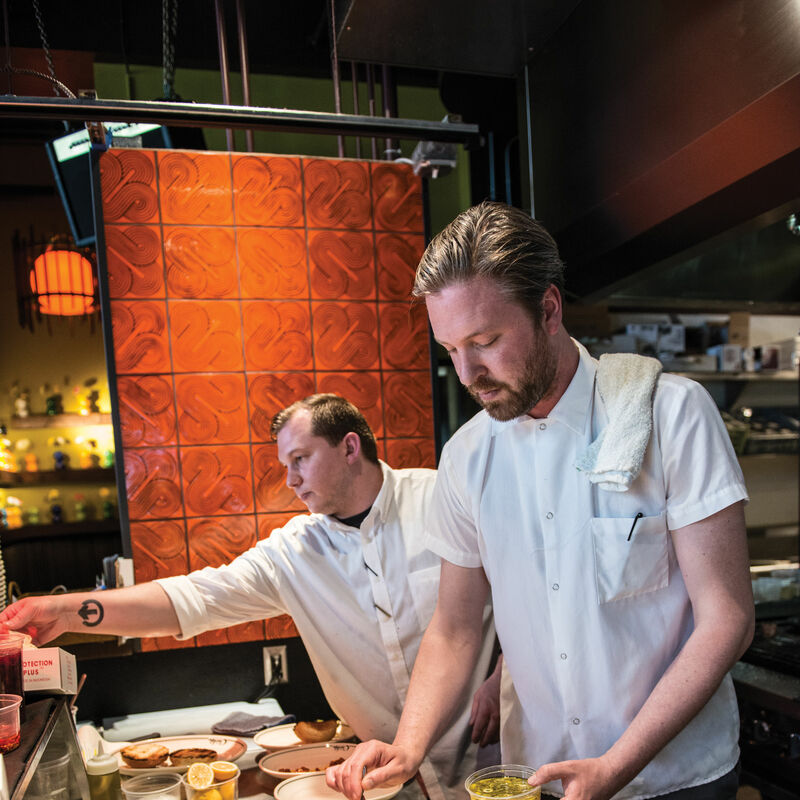 Anyone who's hit up Tom Douglas's Carlile Room before or after a show at the Paramount knows that chef Dezi Bonow and crew have a particular knack for making special menus that celebrate the particular theatrics happening across the street. Yes, the actual drinks and dishes are reliably good, but the fun comes from the names, from the Rogers and Hammeredstein cocktail that arrived alongside The King and I to the Sound of Music–inspired Tea With Jam and Bread (a Dahlia brioche with Earl Grey gastrique and peach jam). Clearly the wordplay stakes were high when Hamilton announced its Seattle run. When the musical phenom finally arrives February 6, ticketholders can stop in across the street for a Hamilton Hurricane rum drink, some Battle of Porktown (Berkshire pork belly, coriander sausage, and crispy pig ears with mustard), or a steaming hot bowl of That Was My Wife You Decided to Pho. Okay, fine—that last one isn't a real thing. But fans of Lafayette's whiplash-fast rap in "Guns and Ships" should enjoy the Buns and Nips: mushroom pinch buns with pickled turnips. 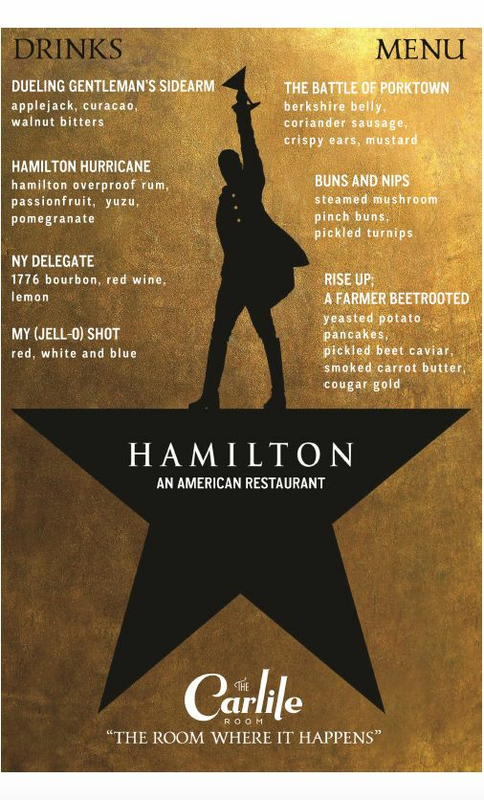 After the show, stop in for Aaron Burr-gers and Satisfries while a DJ spins. Here's the full menu. 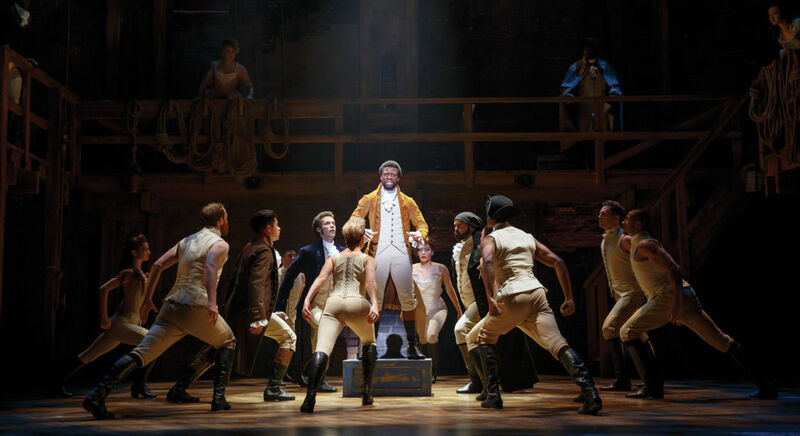 And if this winter's crazy-bananas lottery to buy tickets didn't prove fruitful, there's always the #HAM4HAM ticket lottery.